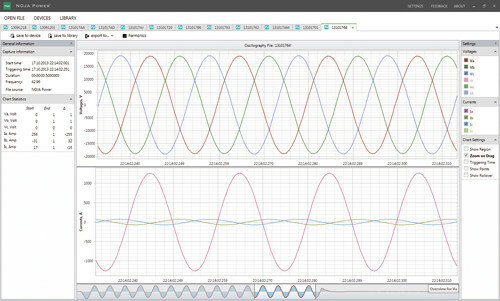 NOJA Power’s Power Quality Software (PQS) is a complete Power Quality data analysis tool – the perfect complement to the suite of Power Quality data acquisition functionality in the NOJA Power OSM Automatic Circuit Recloser system. PQS allows utilities to monitor Power Quality and meet regulation standards avoiding penalties and protects infrastructure in the event of a harmonics exceeding a predetermined threshold. The software is also a valuable tool for companies that want to check that internal operations are not injecting harmonics back into the grid from their spur nor risking damage through harmonics to their own electrical assets. Oscillography data can be used to analyse power quality fluctuations. The RC-10 can capture an oscillogram of the waveform when a specific event occurs such as a trip or a close. The amount of waveform captured prior to the trigger can be configured by the user. This ranges from 0 to 80% of the capture prior to the trigger point. Captured data can be stored on internal flash memory or external USB drive. The captured Oscillography files are saved in the file system in the IEEE Std C37.111-1999 Comtrade Advance Programmable Logic binary. The RC-10 measures Total Harmonic Distortion (THD ), Total Demand Distortion (TDD ) and Harmonics Voltages and Currents up to the 15th H armonic (800A). 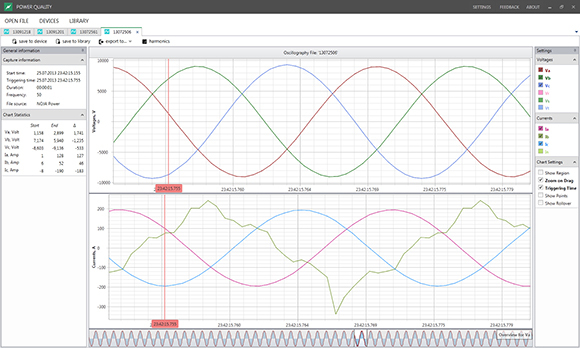 Harmonic data is averaged over 64 cycles and is made available every 32 cycles. The RC-10 stores information relating to long and short duration interruptions. This information is used to calculate SAIDI (System Average Interruption Duration Index), SAIFI (System Average Interruption Frequency Index) and MAIFI (Momentary Average Interruption Frequency Index). Both long and short interruptions are based on the Loss of Supply Detection (LSD). 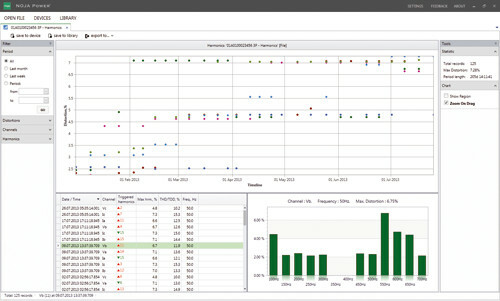 The RC10 collects both long and short interruption information, which PQS uses to calculate systems performance indices such as SAIDI, SAIFI and MAIFI. The RC-10 records voltage variations (sags & swells) occurring outside a user set period of time. Sags & Swell voltages are based on the phase to earth voltages. Harmonic data, long and short duration interruptions and sag/swell logs can be transferred to a USB in IEEE P1159.3 PQDIF or retrieved remotely via PQS. The PQS is available to all NOJA Power OSM range ACR customers, free of charge. *For comprehensive information about the product, please download the brochure from the link below. To download the software please login to our secure website.